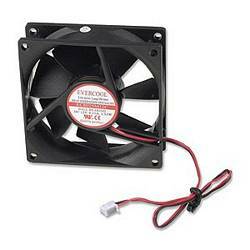 This 80x80x25mm ball bearing cooling fan. It is equipped with a 2-pin power connector. Usually, these connectors are found inside power supply units.